VR First, the global initiative for enabling VR/AR innovation, along with a team of VR/AR industry leaders, announced the launch of the world’s first VR Academic Purpose bundle, consisting of hardware, services and support/mentorship by key industry organizations, designed for academic research, development and innovation purposes. The bundle will allow academic institutions and science parks to engage with immersive technologies and grow their VR/AR labs. 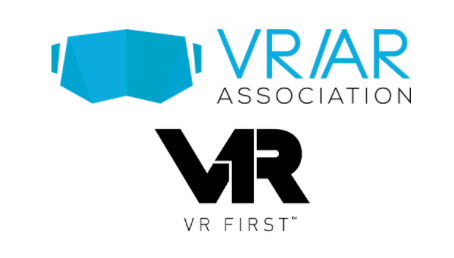 Access to VR First’s extensive network of industry partners for expertise insight on building powerful communities equipped with cutting edge technology and knowledge. The Academic VR Bundle is now available through VR First as part of its Regional Growth Services program. 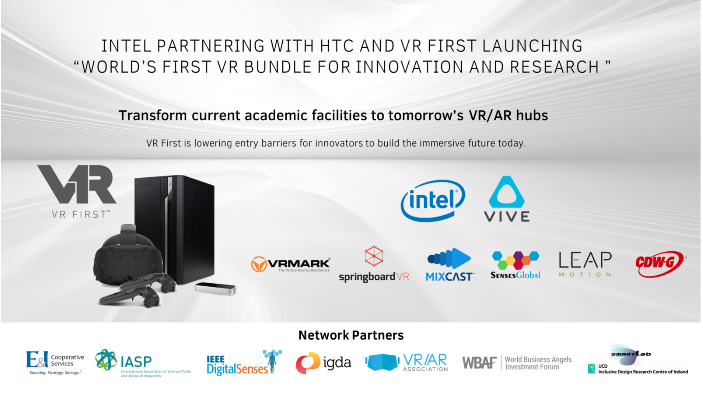 VR First is inviting all academic institutions, science parks and innovation centers to join and learn about special bundle rates and opportunities available through VR First’s industry network. Starting early 2018, we will add further hardware devices and software solutions to the academic bundle. By that, VR First also expands the addressable market for partners through global academic and developer reach,” said Ferhan Ozkan, CEO of VR First. More details are available at VR First’s website. “As the core innovators of technology, Intel is constantly working on new ways to incentivize VR/AR development on a global scale. It is only right that we cooperate with VR First, IEEE and other industry and network partners to strengthen early adoption and reiterate our shared commitment to the democratization of VR/AR innovation,” said Frank Soqui, General Manager for VR and Gaming at Intel. The new Academic Purpose VR bundle is a key component of VR First's Regional Growth Services that include renovation of existing facilities or end-to-end solutions for establishing new VR/AR facilities, as well as training, mentorship and crowd-based online competitions. As an enabling organization, VR First provides not only expertise but also access to the VR/AR industry and community network on a global scale. This network access is essential to the development of regional strategies and industry vertical clusters centered around these growing facilities. In this regard, mutual partnerships have been initiated between VR First and global network partners who share the vision of democratizing VR/AR innovation. They include IEEE (the largest technical professional organization in the world with more than 423,000 members in 160 countries), E&I (Cooperative of Higher Education Institutions in the US with 4,100 members), IASP (International Association of Science Park and Areas of Innovation covering close to 400 members in 77 countries), IGDA (The International Game Developers Association with 12,000 members), SMARTlab-IDRC (global research institute for social change based on innovation), WBAF (World Business Angels Investment Forum with 267 angel networks and investors from 52 countries), and VRARA (the VR/AR Association with 51 chapters in 24 countries and 3,900 companies). For more information on VR First and its services, please visit www.vrfirst.com.